WHO DO THE VOODOO? YOU DO. Why all the hoopla with witches and witchcraft? It's so...mainstream. Voodoo is where the magic's really at! No wand or cauldron necessary because this type of sorcery is more serious; we're talking about recipes calling for recently-stopped human hearts and gnarled crocodile claws. No wonder why everyone is more comfortable talking about witchcraft! But you're not a basic witch so dabbling is voodoo is what you do. Woo-hoo! This Halloween put voodoo in the forefront (witches, take a seat) by transforming into a curse-casting, hex-inflicting, all-around-magical-boss by dressing up as a Voodoo priest or priestess. 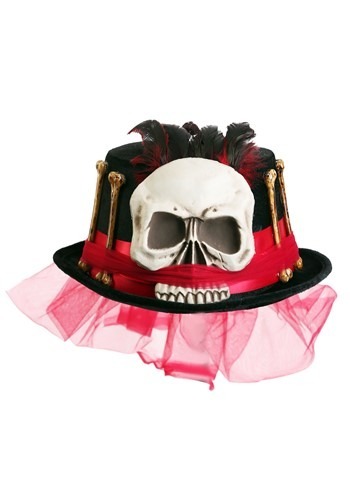 Conjuring deities will be simpler as long as you have the Voodoo hat included with your costume. 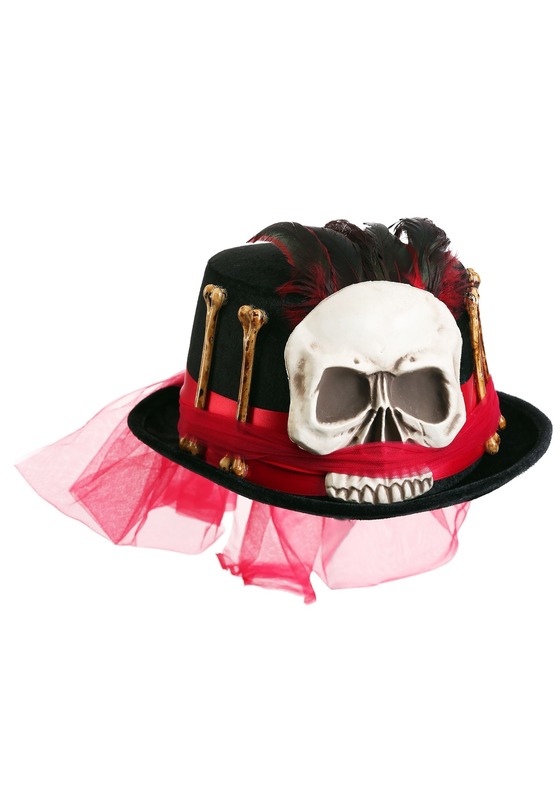 Wear it to invoke the Voodoo spirits while instantly putting those in black pointy hats to shame. 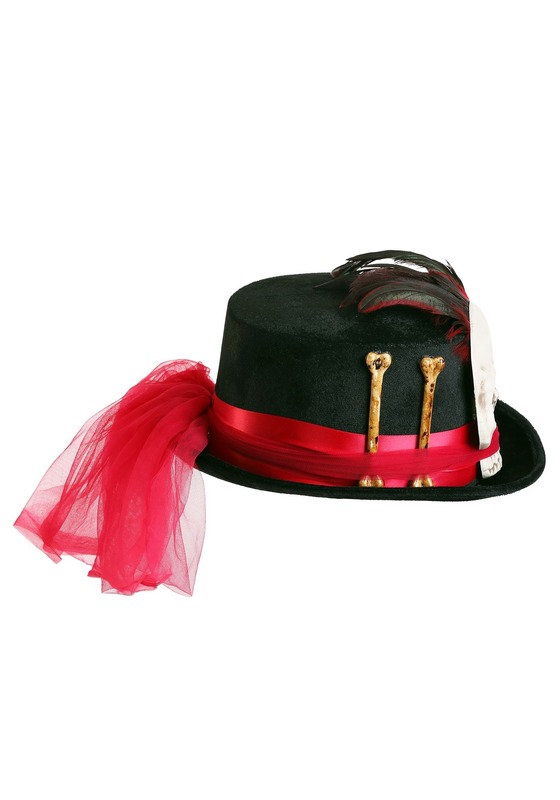 A red ribbon featuring attached Voodddo-style decorations is wrapped around a black top hat. A faux skull is displayed on the front, topped off by black and red feathers, coordinating tulle and long, skinny bones. It's capable of fitting most-sized heads. What is a Voodoo priest or priestess without their beloved pin cushion doll? Stick a pin in the costume competition by showing up to the party with a friend disguised as a Voodoo doll.